LEED Documentation ensures you have the tools to get specified on LEED projects. 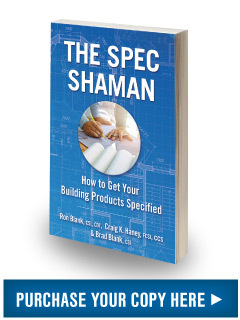 LEED data sheets and LEED product data help specifiers in product selection. Building product manufacturers need to have documentation on how their products contribute to LEED credits. Our team provides a technical review of existing LEED language, as well as new language aligned to LEED v4. We provide a credit-by-credit list of product contributions. The information is ready to plug into existing product sheets, intended to be listed side-by-side with existing information for previous versions of the rating system. If you want to get specified on LEED certified projects you must have LEED product documentation. Is Your Product LEED Certified? Has the USGBC endorsed your product for use on a LEED project? The USGBC does not certify or endorse products. GreenCE helps building product manufacturers navigate the myths, misconceptions, and tricky waters of the LEED rating system. Our team can help you create LEED Product Documentation so that your product can get specified. 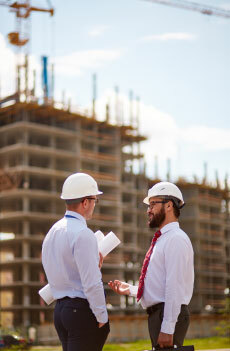 To get your product specified on a LEED project, you must understand the LEED certification and documentation process. Our team can educate you on key elements of the building project certification process and documentation requirements for LEED v4. GreenCE’s experts have worked on several LEED projects and know how to navigate LEED Online. We can explain the LEED application submittal, review and appeal process. Although there are no LEED certified products, we can ensure that your team has the tools to get specified. Building product manufacturers can become flustered by the complicated requirements for LEED certification. Getting LEED certified projects isn’t easy but GreenCE will support your efforts through the development of accurate LEED documentation. Projects pursuing LEED certification earn points across many areas that focus on sustainability issues. According to the number of points achieved, a project can receive one of four LEED rating levels: Certified, Silver, Gold and Platinum. LEED applies to buildings that are being newly constructed or going through a renovation; the ratings system includes New Construction, Core & Shell, Schools, Retail, Hospitality, Data Centers, Warehouses & Distribution Centers, and Healthcare. Building product manufacturers can help contribute several points to LEED depending on their products. LEED sets many performance-based requirements. LEED professionals identify products that have the desired attributes. Some LEED points will mandate that certain limits or minimums be met. Other LEED points will necessitate gathering specific product data into a spreadsheet in order to calculate the aggregate environmental or health value of a set of products. GreenCE educates building product manufacturers on how LEED credits apply to their products, and how to communicate the details to specifiers, architects, and other design professionals. Building product manufacturers who hope to contribute more points to a LEED certified project than what is currently possible for their product, should contact GreenCE for an exclusive conference on LEED Credit Interpretation Requests (CIRs).